Being on safari in Africa means you will have the opportunity to see a wealth of wild animals including lion, elephant, leopard and hippo. But one of the most elusive animals, and one of the most endangered on the planet, requires a bit more effort to see it in its natural habitat. The mountain gorillas of Uganda cannot be seen in captivity anywhere else in the world, and the opportunity to see them amongst the stunning Ugandan landscape is truly a once in a lifetime experience. Here’s a guide to gorilla trekking, the ultimate safari experience. Located in the Bwindi Impenetrable Forest, the mountain gorillas live in family groups, a number of which have been habituated. This means they are prepared for human visitors, a process which can take a very long time to establish. Being habituated doesn’t mean that aren’t natural or are trained, the behaviour you will see is entirely as nature intended. The process of habituating gorillas means visiting them every day until they become accustomed to seeing small groups of people watching them. Only once the process has been established and the gorillas are deemed as safe will a family group be opened up for tourists. Gorillas are an amazing animal to see up close. In order to see mountain gorillas in the wild, you will need to obtain a permit. The permits will specify which family group you will visit and your guides will track down these animals; you aren’t just looking for any sighting of a gorilla. Before you arrive at the park for the day, the guides will have already been out to establish the movements of the gorillas so you won’t have to trek so far to find them. Am I guaranteed a sighting? The gorillas are wild animals and there are no guarantees that you will see them during your trek, even if you hold a permit. However, the guides are very experienced in working with the gorillas and will provide you with the best possible chance of seeing them. 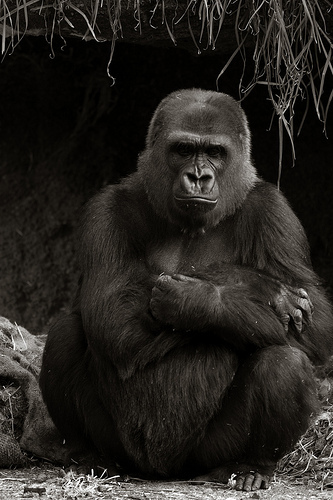 In the vast majority of cases, visitors will see the gorillas; it’s quite rare to be unlucky. It can take a number of hours to trek to the gorilla’s location, depending which family you are visiting. Some groups have a tendency to live nearer the edges of the rain forest whilst others are usually to be found in the depths. Hiking to see the gorillas does involve some exercise so individuals who have severe mobility restrictions may not be able to meet the demands. However, having said that, a 94 year old lady was carried by teams of willing volunteers to see the gorillas so anything is possible! The demands of the terrain will depend on where you see the gorillas and which family group you will be visiting. Those that are located in the heart of the rainforest will take much longer to reach and inevitably, you will need to be fitter to cope with the journey to get there. Talk to your safari organiser in advance and they will be able to accommodate your needs accordingly. If you have a cold, flu, virus or other infectious disease you won’t be permitted to trek to the see the gorillas as the impact on the animals could be deadly. The rainforest where the gorillas live is a warm and humid place but wearing shorts and T-shirts would be a huge mistake. Although you will want to keep cool, you’ll also want to be protected from bites and scratches from insects and vegetation. For this reason, long trousers and sleeves are essential along with a lightweight waterproof coat in the case of afternoon showers. It’s called the rainforest for a very good reason! 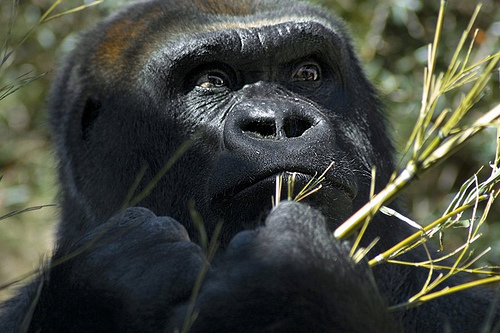 Gorillas are a top feature of safaris. Gardening gloves aren’t an essential but protect your hands as well as being thick enough to allow you to grasp onto vines and other shrubs without the risk of getting hurt. And when it comes to your feet, don’t risk sandals. A pair of proper walking boots or shoes will stop you sliding around the muddy tracks and will ensure that you don’t have to work harder than necessary to remain upright! The landscape in and around Uganda is simply magical and once you enter the rainforest, it’s like being transported to another kingdom. Taking the right clothes and understanding what lies ahead of you will ensure that you know what to expect and will allow you to enjoy this once in a lifetime experience.